Ahn Jung-Geun or An Jung-Geun (September 2, 1879 - March 26, 1910) (Baptismal name: Thomas) was a Korean independence activist. In 1909, during the period following the signing of the Eulsa Treaty, when Korea was a protectorate of Japan, he assassinated Itō Hirobumi, the Japanese official who had been appointed as Japan's first Resident-General of Korea, when the protectorate status began in 1905. Ahn was arrested and held in Japanese prison after the assassination, and executed the following year, just months before Japan's annexation of Korea in August 1910. Ahn is considered a patriotic martyr in South Korea. A museum has been constructed in Seoul to honor him, and a memorial service is held each year on the anniversary of his death. An Jung-Geun was born in 1879 as the eldest child among three sons and one daughter in the family An Taehun from the Sunheung An lineage, in Haeju, Hwanghae Province (now part of North Korea). Born during the waning years of Korea's Joseon Dynasty, An's early years were spent in an atmosphere of increasing change and uncertainty which had begun a few years earlier, when Joseon Korea entered into the kingdom's first foreign treaty, the Treaty of Amity, Friendship, Commerce and Navigation signed with Japan on February 26, 1876. Like most children from aristocratic families, An was schooled at the local Seodang, spending nine years studying Chinese classic literature and neo-Confucian thinking. At the age of 16, he was married to Kim Aryeo, with whom he had two sons and a daughter. In his late teenage years, he converted to Christianity, which was gaining popularity in Korea, and was baptized into the Catholic faith on January 10, 1897, receiving the baptismal name Thomas. He spent several years working fervently as a Catholic missionary, studying the faith further with the foreign Catholic missionaries serving in the region. Like many Christians in late Joseon Korea, An became active in the Korean independence movement, protesting against Japan's increasing control over Korea. A few years later, he promised his dying father that he would dedicate himself to the cause of independence, pledging that he would not drink alcohol until the day Korea was free from Japanese control. In 1906, with the support of the Catholic church, he was instrumental in founding two schools that offered Minjung education, the Donghee School and the Samheung School, and served as principal of both schools. The Samheung (삼흥, 三興) School's name refers to three prosperities, the prosperity of the individual, the prosperity of the people, and the prosperity of the nation. The 1876 treaty with Japan was quickly followed by similar treaties with the United States, China, Great Britain, Italy, and several other European countries, moving Korea further and further away from the isolationist policies the Joseon monarchy had maintained for centuries. As time went by, Japan began to exert more and more control over Korea, with protocols and treaties signed between the two countries in 1904 and 1905, giving Japan first advisory status and then control over various aspects of Korea's government administration, post, telegraph, and telephone services and military defense of the Korean peninsula. As a result of the Eulsa Treaty, signed November 17, 1905, Korea became a protectorate of Japan, and Japan appointed a Resident-General to take charge of Japan's interests in Korea. 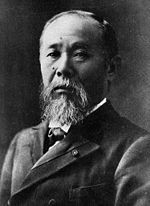 Prince Ito Hirobumi, who has served as Prime Minister of Japan four times between 1888 and 1901, was the first Japanese diplomat appointed to the post of Resident-General. Two years later, Japan pressured Emperor Gojong to step down, more than 40 years after his ascension to the throne, and he was replaced by his son, Emperor Sunjong. As Japan's control and influence grew, the citizens of Korea became increasingly factionalized, with some viewing Japan's presence as a source of support and development for the largely agricultural country. On the other hand, to the members of Korea's independence movement, the Japanese presence was a detestable. Inspired by the independence efforts of another famous An, Ahn Changho, An Jung-geun turned his efforts increasingly away from education and toward the resistance movement. As the representative of Japan in Korea, Resident General Ito Hirobumi was a focus of hatred for the independence fighters. Having heard Ito's plan to meet the Russian Minister of Finance and inspect Russian troops in Harbin, Manchuria, in 1909, An traveled to Harbin. Japan was gaining control over extensive territory in China and Manchuria, but the Harbin area was under Russian control at the time, and he hoped that he might be able to escape capture by the Japanese authorities. Masquerading as a member of the press corps, he waited on the Harbin railway platform for Ito's arrival on October 26, 1909. When Ito arrived, An shot him three times, fatally wounding him. After firing upon Hirobumi, An is said to have knelt down to make the sign of the cross, issued a cheer for Korean independence and waved the Korean flag. Afterwards he was arrested by Russian guards who held him for two days before turning him over to Japanese colonial authorities. Japanese colonial court sentenced him to death. An was angered at the sentence, though he expected it. He had hoped to be viewed as a prisoner of war instead of a criminal assassin. Judge Hirashi, who presided over An's trial, had promised An that a stay of execution for at least a few months would be granted, but Tokyo ordered prompt action. An did not appeal the verdict, though he did ask for the warden's help to finish his essay, "On Peace in East Asia" and for a set of white silk Korean clothes to die in. The warden was able to grant the second request and resigned shortly afterwards. Because he considered his action an act of war, rather than a criminal act, An requested that he be executed as a prisoner of war, by firing squad. However, the Japanese officials did not grant his request, and ordered him to be killed by hanging, in the manner of a common criminal. In order to make it difficult for the Korean people to rally around An's actions and make him a martyr, the Japanese kept the place of his burial a secret, and his body has never been found. The execution by hanging took place in Port Arthur, then also known as Ryojun, on March 26, 1910. Having spoken with some Japanese prisoners in Korea who opposed Ito's leadership, An felt that Ito's actions as Resident General did not accurately reflect the policy of Emperor Meiji of Japan, and that if Ito were removed from the picture, perhaps Korea's situation would be improved. Reality proved otherwise. Far from slowing down Japan's progress toward complete control of Korea, in Ito's absence the process continued on the same track, leading just five months later, to the signing of the Japan-Korea Annexation Treaty on August 22, 1910, which placed Korea entirely under Japanese control. From this point, Japan's chief representative in Korea was elevated to the post of Governors-General of Korea (Korean: 조선총독, Hanja: 朝鮮總督, Japanese: 朝鮮総督). Emperor Sunjung was forced to abdicate the throne, Japan declared the Korean Empire dissolved, and from 1910 to 1945, the Governor-General headed the Japanese colonial government of Korea, which was housed in the Japanese General Government Building from the time of its completion in 1926. The Korean Governor-General was unique in among Japan's external possessions, as he had sweeping plenipotentiary powers, exceeding those held by the colonial governors in other regions. In addition to administrative tasks, the Governor-General had command of the Imperial Japanese Army and Imperial Japanese Navy units stationed in Korea, and the position also entailed judicial oversight and some legislative powers. Given the powers and levels of responsibility, only ranking full generals in the Japanese Army were selected for the post. According to Korean legal thought, de jure sovereignty was not transferred to the Emperor of Japan with the forced end of the Joseon dynasty. The Korean citizens who remained loyal to the empire maintained that the Provisional Government of the Republic of Korea, a government-in-exile based in Shanghai, China and later in Chongqing, during the Japanese occupation of Korea, was the de jure government of the Korean people from 1919 to 1948, and that the foreign governors merely exercised de facto rule for the period. After the Japanese defeat in World War II, Korea came under American and Soviet control. After 1948, power passed to the Democratic People's Republic of Korea and the Republic of Korea. Although his act of shooting Ito Hirobumi did not have an immediate impact on Japan's progress toward annexation of Korea, An's act of patriotism served as a source of inspiration to the loyalists and independence fighters throughout the Japanese occupation. For his actions as a resistance fighter, An Jung-geun was awarded South Korea's Order of Merit for National Foundation in 1962. An's vision for Asia included a view of Pan-Asianism a union of the three great countries in East Asia, China, Korea, and Japan in order to counter and fight off the "White Peril," being the European countries engaged in colonialism, restoring peace to East Asia. He had followed the progress of Japan during the Russo-Japanese War and claimed that he and his compatriots were delighted at hearing of the defeat of one of the agents of the White Peril, but was disappointed that the war ended before Russia was totally subjugated. He had hoped that with the death of Ito, Japan and Korea could become friendly because of the many traditions that they shared. He hoped that this friendship, along with good relations with China, would become a model for the world to follow. His thoughts on Pan-Asianism were stated in his essay, On Peace in East Asia that he began writing but left unfinished before his execution. An Jung-geun and several of his compatriots had cut off the last joint of one of their fingers, to indicate their dedication to their cause, following the example of others throughout Korean history. When An wrote calligraphic banners to inspire his fellow patriots, as part of his signature he included his hand print with the shortened finger to inspire people with his conviction. An Jung-geun's memory has been commemorated by the International Taekwondo Federation's Joong-Gun formation, named after him. The Joong-Gun form is constructed to remind practitioners how to persevere in the face of oppression, how to fight against obstructions and about calculating the distance between yourself and your opponent. Novelist Bok Geo-il's 1987 novel Looking for an Epitaph (碑銘(비명)을 찾아서) is an alternate history story, which is set in the 1980s of Korea that remained a permanent colony of Japan, as a cascade effect of An's failure to assassinate Ito. The Korean movie 2009 Lost Memories is very loosely based on the novel but tells a completely different story. In the Korean film, An Jung-geun is spotted and killed by Japanese soldiers before he is able to shoot Ito Hirobumi. The subsequent butterfly effect makes Japan join the allied side during WW2 and become a permanent member of the UN Security Council, setting the stage for the Japanese occupation of Korea to continue until the beginning of the twenty-first century. In the PC game Civilization IV expansion pack, Beyond the Sword, An Jung-geun is a Great Spy. This page was last modified on 17 March 2016, at 16:09.